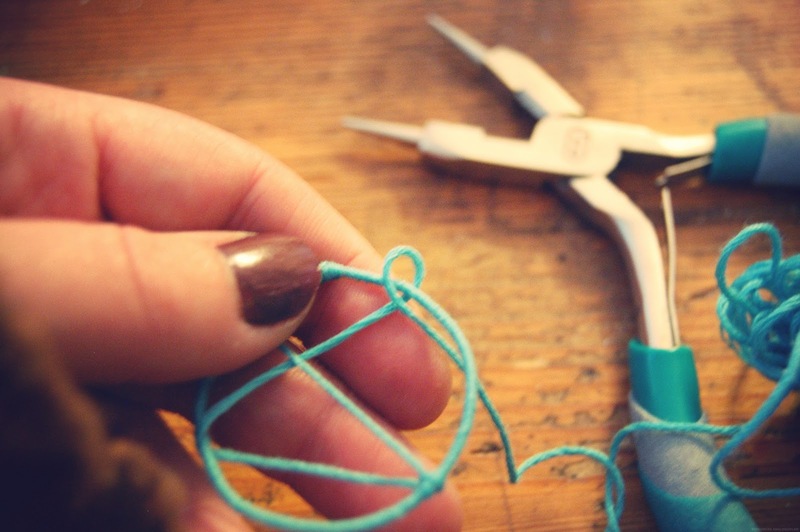 So to begin with you will need to turn the wire into a round shape, so you get both ends and twist them around each other until they are secure. 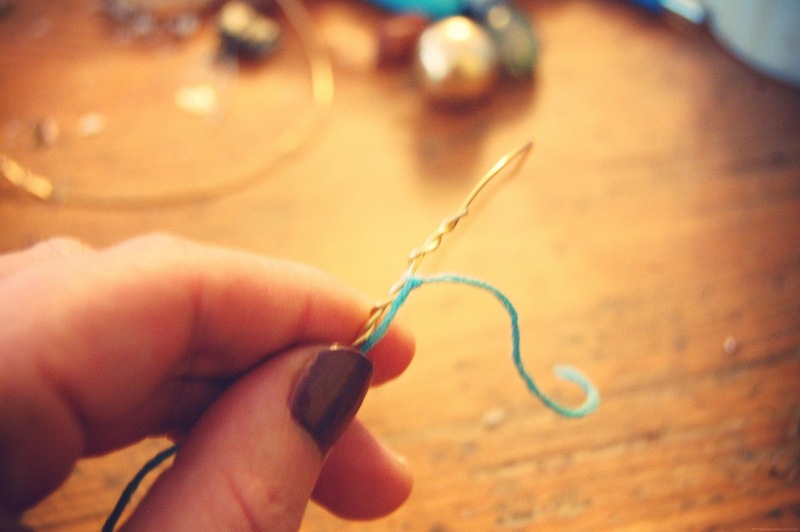 Now once you have made the loop, you need to get your thread ready, I decided to use blue so that people would be able to see the steps better. 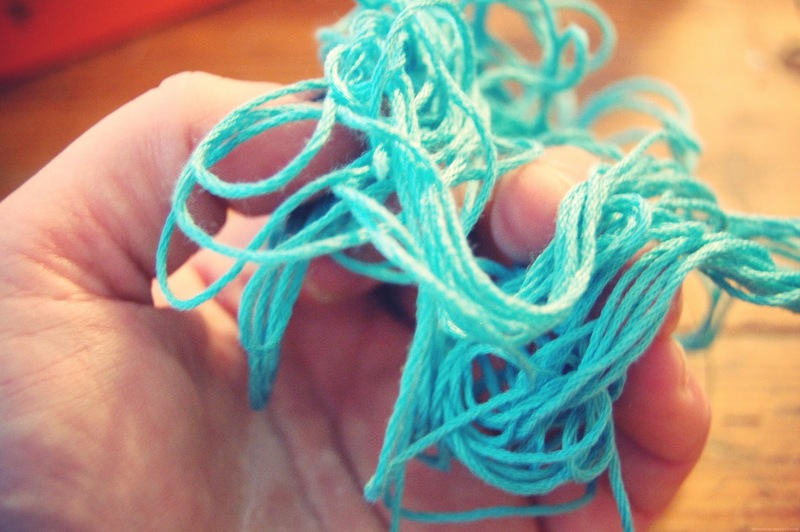 So you will need to take the end of the thread and not it to the wire. 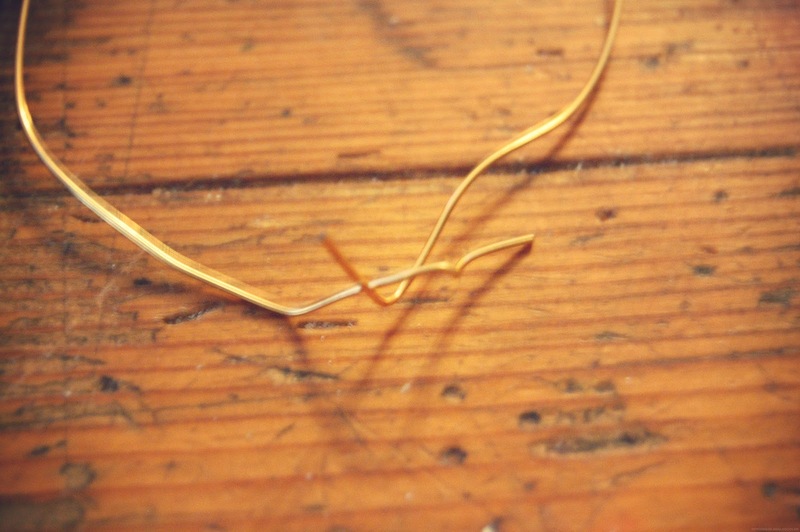 And begin to wrap the thread around the loop. 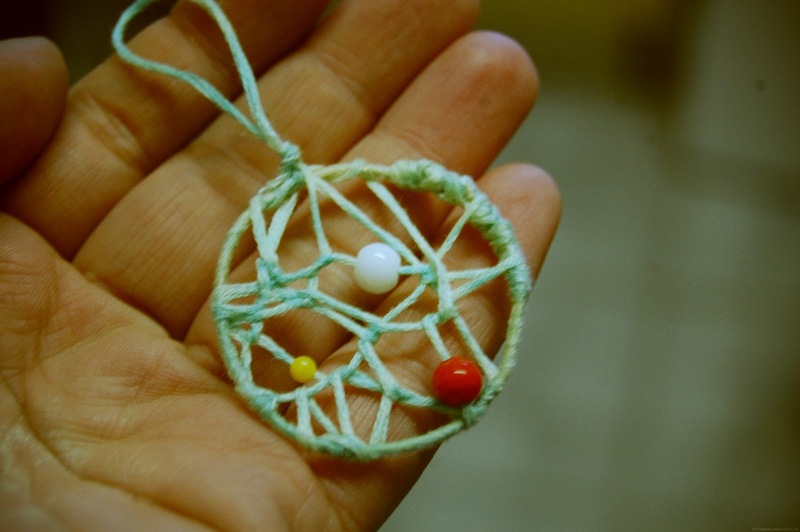 So once you have wrapped the entire loop you will need to start on the center of the dream catcher make sure you have enough thread to cover the middle. 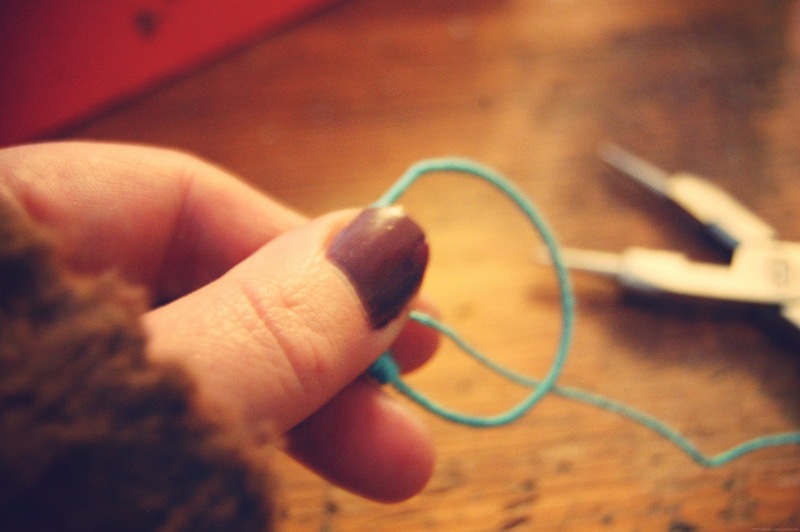 So take the thread and cross it a cross the loop and knot it when you get to the next side. Carry on doing this . 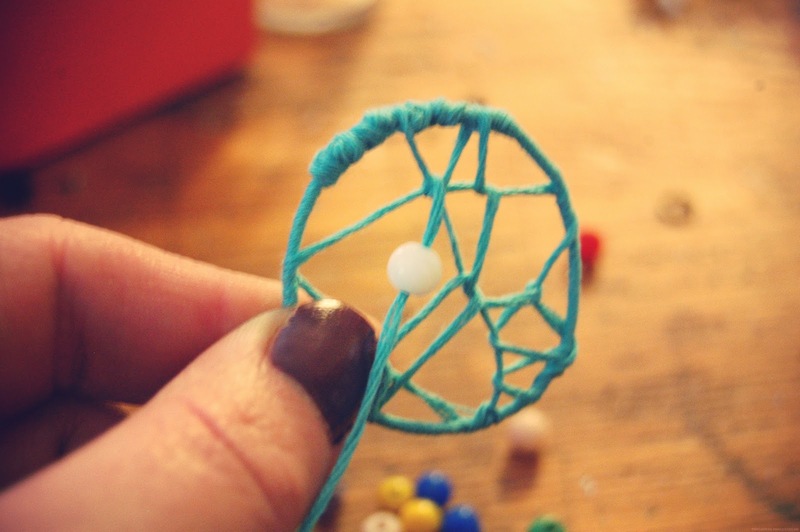 Now this is when you get to add the beads to the dream catcher, thread on what colours you want, i added a red, white and yellow beads. 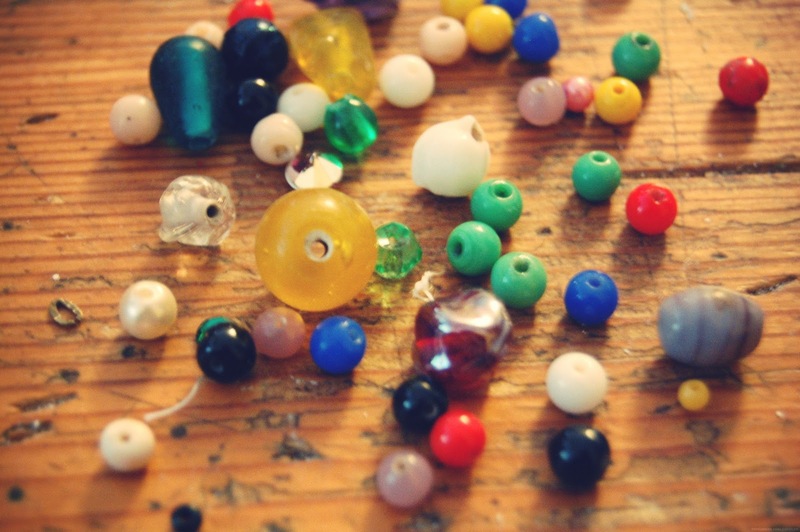 If you find it hard to thread the bead you can use a needle. 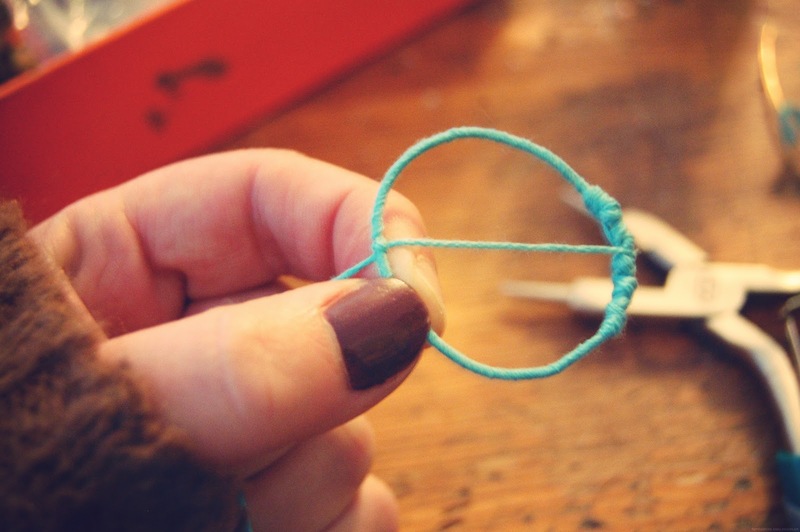 Now to get the spider web style on the inside, take the thread and loop it around another thread wrap it and then knot it. follow the images below. Carrying on doing this until you are happy with the look of it. 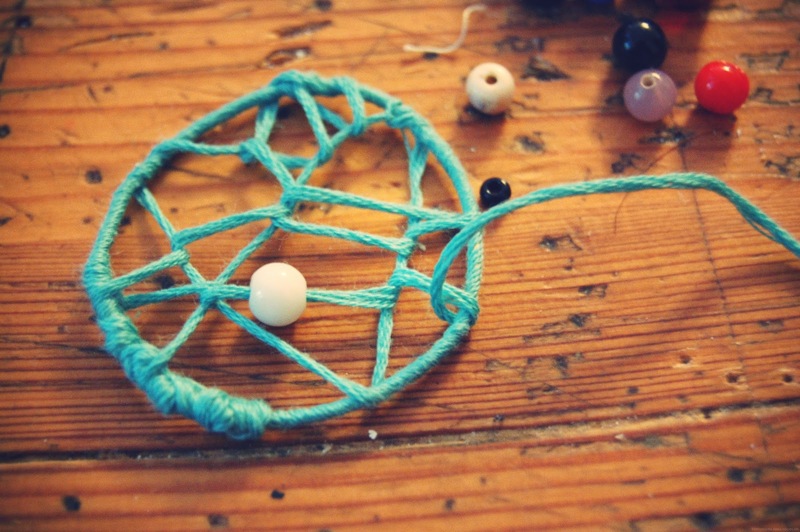 To tie the dream catcher off just knot the thread around tight, and to create a loop at the top make a large loop shape with the remaining thread now knot the bottom of the loop like you would knot a ballon. 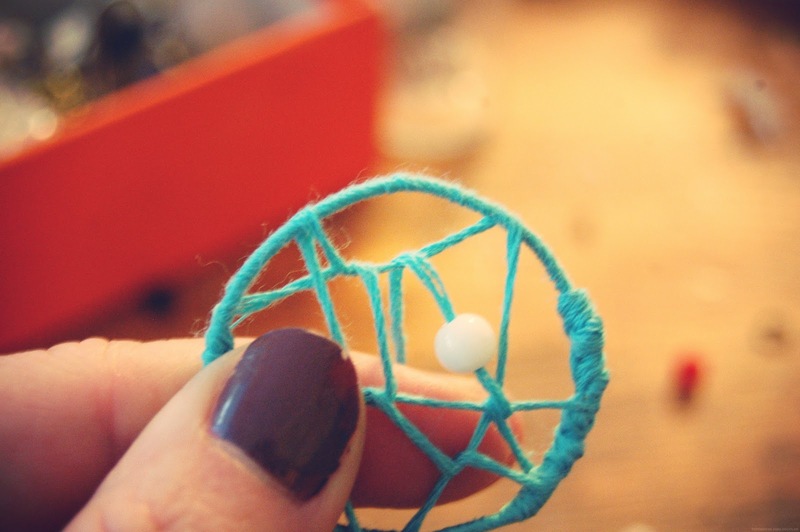 And there you go, i decided to bleach out the blue it was too vivid for me, so it is now a nice whitey blue colour now, i hope that you will be able to create a pretty little Dream catcher. Next Post a few petals. 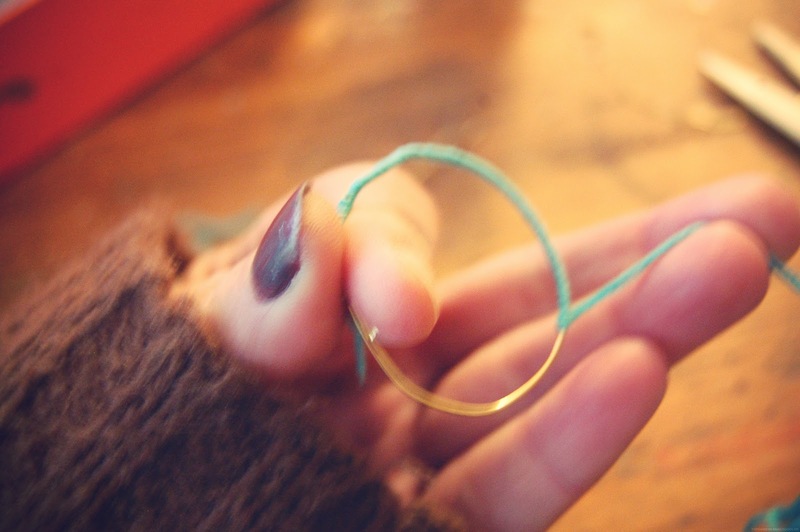 I used to make these all the time when I was little out of metal bracelets! Good times. These are so cute! I really want to make some now! They look really easy, but they're still so cute! 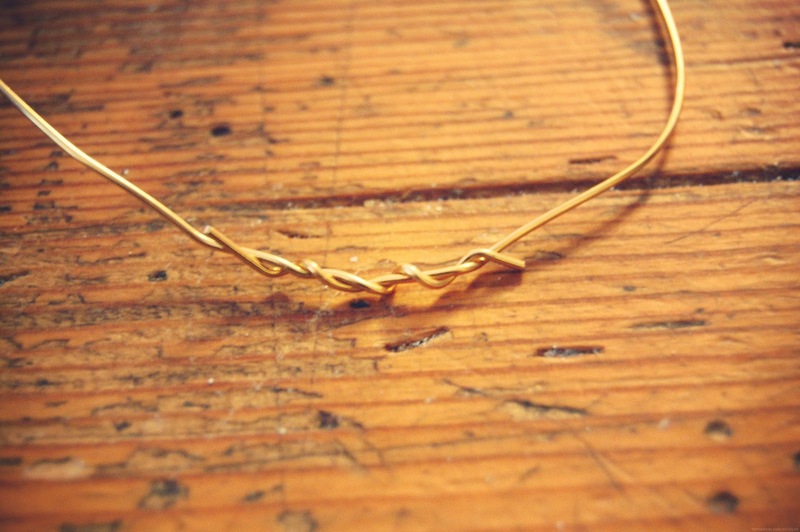 Though actually when I try and make one it will probably take me ages! Thank you for this little tutorial! This is lovely! 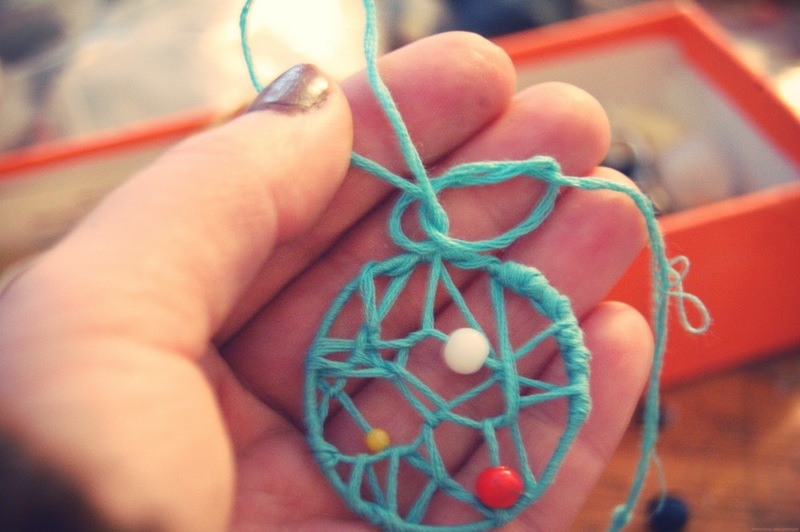 I think that I am going to make one too! so adorable!!! 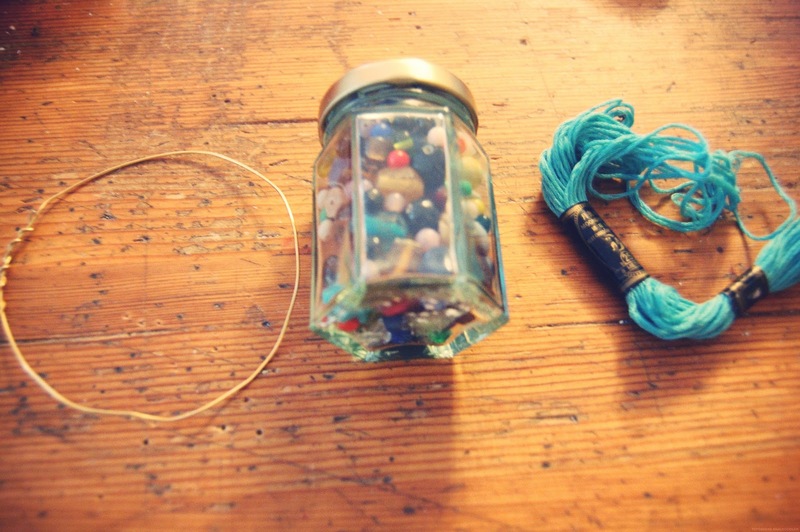 lovely little tutorial, im going to make a few of these as christmas presents because i cba to spend money! !